Brumadinho, Brazil – A flock of black birds circled above a little stretch of land next to the Paraopeba river in eastern Brazil‘s Brumadinho, city in the state of a Minas Gerais. Its waters were dark orange and smelled like putrid fish. “They’re vultures. It’s unbelievable,” 20-year-old Josiane Rosa, looking at the birds against the blue sky. Rosa is part of the Pataxo indigenous tribe. 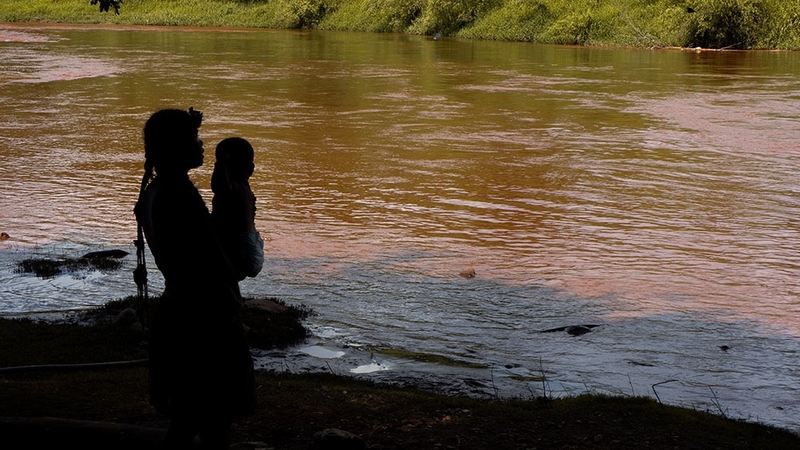 The 82 people who live here used the Paraopeba river as their main source of food and water. 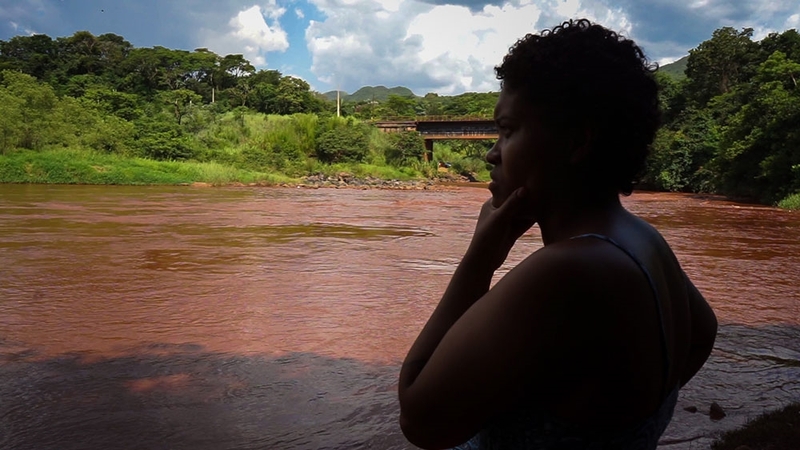 But when the upriver Corrego de Feijao dam burst on January 25, it spilled nearly 12 million metric cubes of mine waste into the river and surrounding area, killing more than 100 people and wreaking havoc on the enviornment and community’s livlihood. “The smell is unbearable. Likely there’re body parts in there, what do we do if one washes up and our children find it? It’s infuriating,” Rosa said. Angoho, the wife of the tribe’s chief, said her community will “never be able to eat fish here again”. “Today when I got to the river and I saw some dead chickens floating by I wanted to jump in there myself, God forgive me,” she told Al Jazeera. “It’s completely contaminated, they killed the river. It’s dead,” she said. Daily reports by the National Agency for Water report high quantities of heavy metals in the Paraopeba waters. These include manganese, iron, aluminium, nickel, lead, mercury, zinc, cobalt and even arsenic, among others. The severity of the problem has pushed the UN’s expert on disposal of hazardous substances, Baskut Tuncak, to call for an impartial investigation into the disaster and into the toxicity of the waste. According to Reuters news agency, federal and state prosecutors have said they are seeking to file criminal charges. Health authorities from Minas Gerais state have advised people to stay at least 100 metres away from the river. Most homes of the Pataxo are just at the 100 metre mark, but down the stream, many houses and villages are much closer to the contaminated mud. The community at Parque das Cachoeiras is one of the most affected. Some houses are just 10 metres aways from the mud and bodies were found nearby. The locals there have no water or electricity. “The Paraopeba river was a great source of drinkable water,” said Hideraldo Buch, coordinator of Brazil’s National Committee for Hydrographic Basins. He told Al Jazeera the Brumadinho town used other resources and so its water supply wasn’t affected. “But the river supplied over 50 other countries with water, plus riverside villages and indigenous communities,” he added. More than 200km downstream of the dam burst, the Paraopeba meets the Sao Francisco river. It flows through six Brazilian states, supplying water for millions of people, until it empties into the Atlantic Ocean. The flow of the sea of mud continues to spread several kilometers a day like a toxic train with no brakes towards the Sao Francisco and is expected to reach its mouth later this month. If contaminated by the polluted waters, “we’ll see another and much bigger environmental disaster”, Buch said. Six days after the dam collapse, Vale, the company that owned the Corrego de Feijao mine, announced a contingency plan to stop the residues to reach the Sao Francisco river. 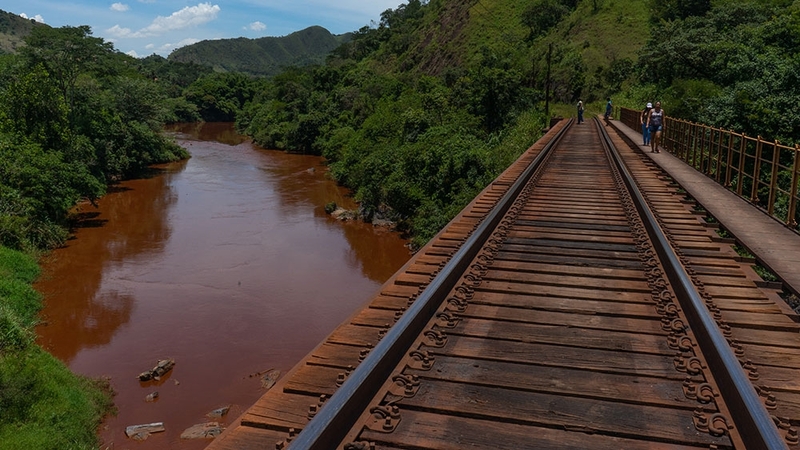 The company said it will monitor 210km of the Paraopeba river from the place where the toxic waste entered the stream up until where it reaches the Sao Francisco river. The company said it has started cleaning and dragging the heavy debris from the first 40 kilometres of the affected portions of the Paraopeba river. As of last week, the company had installed at least three “filter-like barriers” to prevent the clouded toxic waters from spreading. “These barriers are installed from the surface of the water with the help of floats, all the way down to the river bed,” said Vale’s Environmental Licensing manager, Rodrigo Dutra de Amaral. “It’s like a filter where the water passes but the residues are stuck,” Amaral told Al Jazeera in a statement sent by email. But officials like Hideraldo Buch accuse Vale of acting too late and worry the mining giant will follow its record of empty promises. Vale has yet to pay a fine of $100m, which includes compensation for the families of those killed or missing after the Mariana dam collapse that killed 19 people in 2015. This was considered the biggest environmental disaster ever in Brazil. 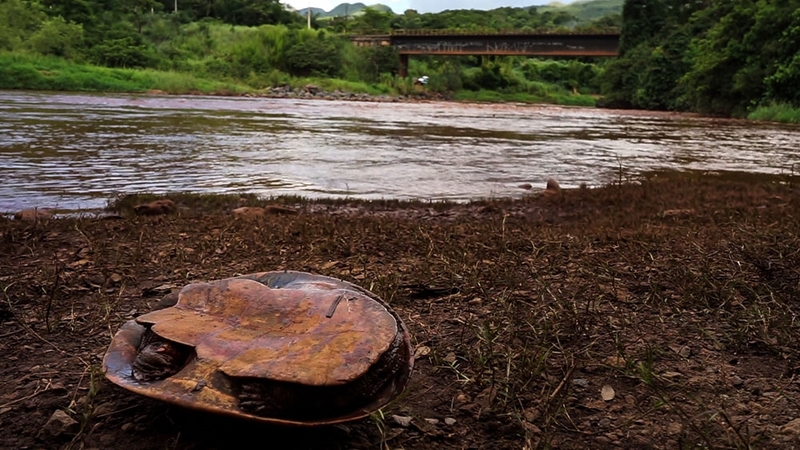 The toxic muds from that accident irreversibly destroyed one of the most important rivers in Brazil, and when it reached the Atlantic Ocean, it killed scores of coral reefs. The company also never reached a conclusion on what happened during the 2015 incident, and executives that worked in Mariana were still working in Brumadinho at the time of the new collapse. Vale’s president apologised to the victims on the day of this year’s disaster. Speaking to reporters a few days later, CEO Fabio Schvartsman said “everything will be taken care of”, referring to the company’s responsibilities on the environmental damage. But he added, “first we have to think about the victims and their families” to whom Vale has promised to pay $25,000 each. Although Vale has repeatedly said the dam was monitored and approved by engineers just weeks before the disaster, a Reuters investigation found that the company knew the dam had a heightened risk of rupturing. Since the disaster, Vale has rushed to suspend dozens of dams and increased the risk level on many others. Local residents and officials blame not only Vale, but also the government. “We know the national policy on dam safety is loose, it gives the power to business owners to loosen licensing,” Buch said. Hideraldo said he’s not against mining projects because they bring jobs and progress. Most of the mine workers in Brumadinho were local residents. The Brazilian government has created a special ministry council to monitor the situation. The country’s environmental agency fined Vale $66.5m for creating a “socio-environmental catastrophe”. The Ministry of Mines and Energy also recommended “new criteria to perfect the control and monitoring system of dam safety” which includes a single-registry system for independent auditing companies. The government has stopped short at placing criminal blame on Vale for the collapse, but several federal and governmental officials have said that pending the result of the investigations, the matter might be treated as a criminal one. Back in Brumadinho, the small riverine beach used by the Pataxos has now become a cemetery for the dozens of dead animals that wash ashore along with all kinds of rubbish. Workers hired by Vale roam the beach collecting the cadavers and trying to rescue any still alive. Ana Cacilda Reis from the Brazilian Institute of Environment and Renewable Natural Resources (IBAMA) said she’s already found “dead fishes, snakes, rodents, cows, chickens and even pets”. Cacilda Reis said IBAMA’s main concern is to minimise the impacts of the disaster on the biodiversity, not only in the river, but also of the local flora. The Brumadinho disaster is another blow to the survival of the rich forest, which is part of the Atlantic Forest, a UNESCO’s World Heritage Site. The mud wiped out more than 290 hectares of land, including 147 hectares of green areas, according to the Secretary of State for the Environment and Sustainable Development. The massive and sudden deforestation along with the constant presence of the contaminated mud will bring serious health problems to the local populations. “This mud will turn into dust that will cause breathing problems for the most affected communities”, said Marcus Vinicius Polignano, professor of medicine at Minas Gerais University, FMG. The river is part of our family, a living being. So when people say no one died here, the river died. And we consider one of our own died. Polignano told Al Jazeera some infectious diseases, normally contained inside the forested areas, can also threaten locals. “The most common is yellow fever.” he said, adding that “we are advising everyone to get vaccinated because there is a high risk of infection”. However, what frightens Polignano the most are the problems the massive trauma will mean for the mental health of those affected. In a town where “everyone knows everyone”, he expects cases of depression and even suicide. “The town’s gravedigger told me he never expected to bury so many of his friends. Can you imagine the impact of something like that?” he added. Those affected by the tragedy can seek psychological help in one of the support centres set up by Vale, in the centre of Brumadinho. The company is also providing medical assistance, 1,600 liters of water, accommodations, phone services and food to those affected. Pataxo tribe members lamented that it took Vale nearly a week to send any kind of food and water. And most say that the company must do more. “Vale is very delusional if it thinks it can buy us with food or water. We are not pets,” said Rosa’s friend, Avelin. “The river is part of our family, a living being. So when people say no one died here, the river died. And we consider one of our own died,” Avelin told Al Jazeera. The Pataxos worry about how they’ll survive from now on, as they’ve become dependent on donations and foreign help for their basic necessities.